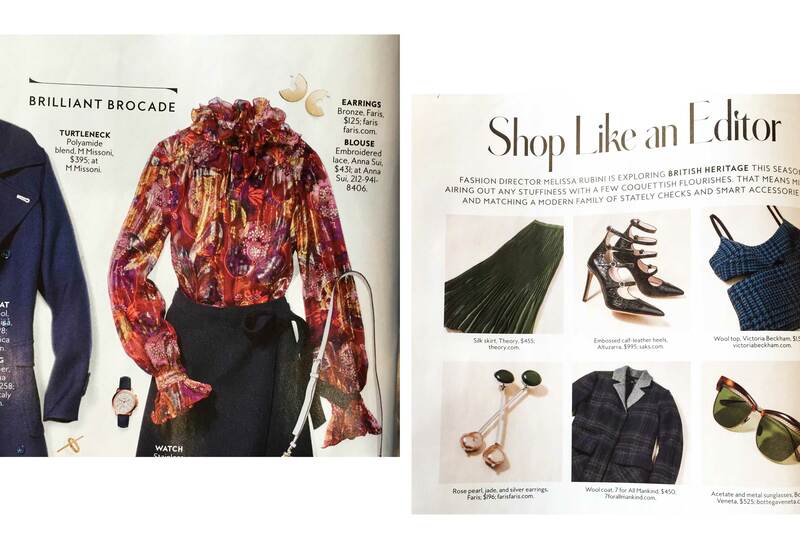 FARIS Featured in InStyle Magazine – September 2016. Left Image: LINK Bracelet, FLOAT Ring. Right Image: DISC Hoops Large. Bottom Image: SWAY Earring.